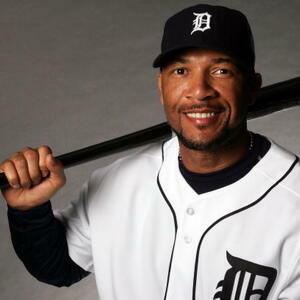 Gary Sheffield is a former American professional baseball player who has a net worth of $90 million. Born on November 18, 1968 in Tampa, Florida, Sheffield acted as an outfielder and third baseman in Major League Baseball. He made his MLB debut on September 15, 1988 with the Milwaukee Brewers and is currently a sports agent. Sheffield played varsity baseball at Hillsborough High School and was named Gatorade National Player of the Year. Following the Milwaukee Brewers, Sheffield continued on to play for the San Diego Padres from 1992 to 1993, the Florida Marlins from 1993 to 1998, the Los Angeles Dodgers from 1998 to 2001, the Atlanta Braves from 2002 to 2003, the New York Yankees from 2004 to 2006, the Detroit Tigers from 2007 to 2008, and the New York Mets in 2009. He is a nine-time All-star, won the World Series with the Florida Marlins in 1997, is a five-time Silver Slugger Award winner, received the NL batting title in 1992, and was named NL Comeback Player of the Year in 1992. Sheffield made his last MLB appearance with the New York Mets in 2009. He did not play in the 2010 season and officially retired in 2011. Sheffield is currently married to DeLeon Richards and has seven children from various relationships by the names of Gary Jr., Ebony, Carissa, Jaden, Garret, Noah, and Christian.